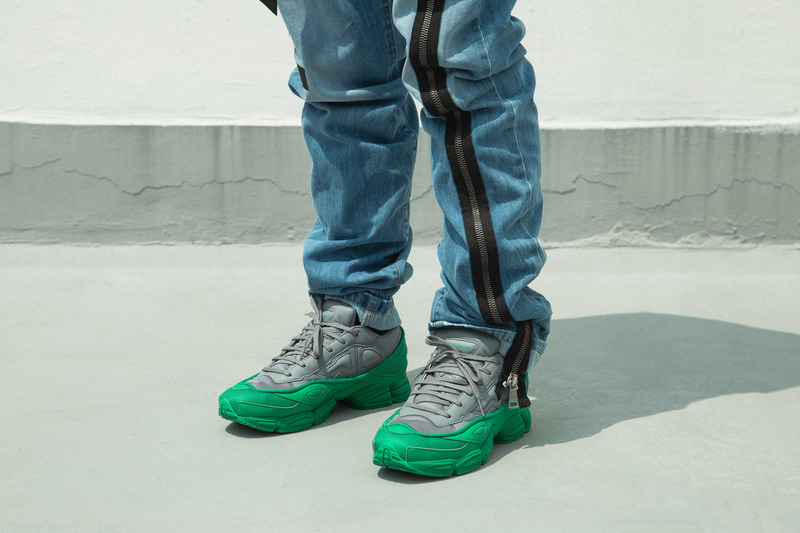 Last weekend we were given a look at Raf Simons‘ take on the adidas Ozweego silhouette. Filled with a range of vibrant colorways, the latest adidas by Raf Simons Ozweego pack features five variants including black/white, blue/pink, black/yellow, grey/green and red/pink. Crafted from a mix of leather and mesh, the athletic silhouette sees a luxe updated makeover. Get a closer look above. For interested fans the adidas by Raf Simons Ozweego pack is available now at select retailers like HBX. In more Raf-related news, Raf Simons showcases “HEROES” pink ribbon to support breast cancer awareness.